VietPress USA (April 15, 2018): The U.S. Ambassador to the United Nations, Nikki Haley, at an interview by the CBS "Face the Nation" on Sunday said that the United States would announce new economic sanctions on Monday, April 16, 2018, aimed at the Russian companies "that were dealing with equipment" to help Syrian dictator Bashar al-Assad in developing and using chemical weapons. Russian president Putin in a telephone conversation with his Iranian counterpart Hassan Rouhani on Sunday agreed that the Western strikes had damaged the chances of achieving a political resolution in the seven-year Syria conflict, according to a Kremlin statement. Reuters reported that "Vladimir Putin, in particular, stressed that if such actions committed in violation of the U.N. Charter continue, then it will inevitably lead to chaos in international relations," the Kremlin statement said. On last Friday, April 13, 2018, the United States, France and Britain launched 105 missiles targeting what the Pentagon said were three chemical weapons facilities in Syria in retaliation for a suspected poison gas attack in Douma on April 7, 2018. 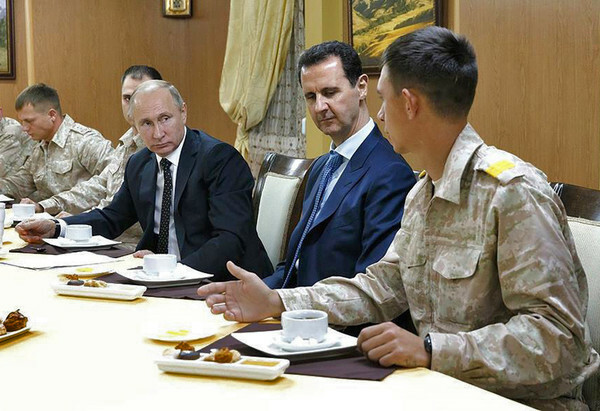 Russian President Vladimir Putin denounced strikes on Syria by the U.S., France and the U.K. as an “act of aggression” but made no mention of possible retaliation for the highly anticipated attack on his Middle Eastern ally, easing for the moment fears of a wider conflict. Andrei Klimov, deputy chairman of the international affairs committee in the upper house of parliament in Moscow said that "We’re not talking about a direct military conflict between Russia and the U.S. 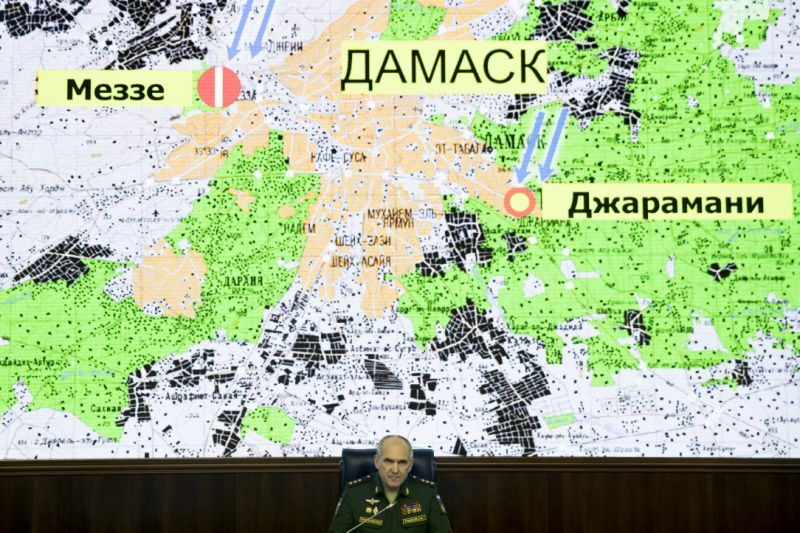 The Americans and their allies did everything to make sure they didn’t hit Russian units." 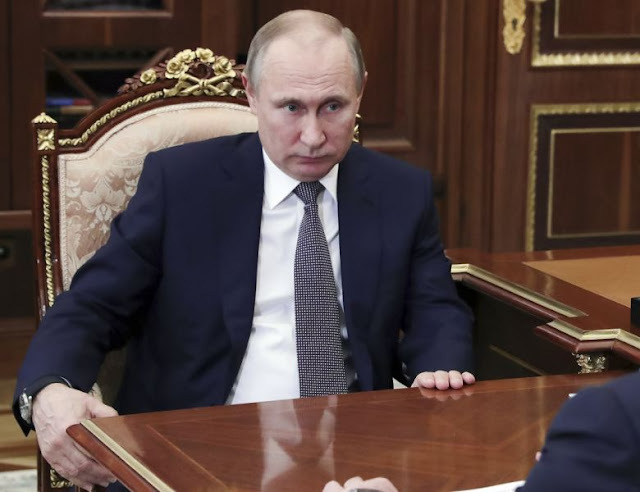 MOSCOW (AP) — Facing a stark choice between engaging the United States, Britain and France in combat or passively watching them strike his ally, Russian President Vladimir Putin has opted for the peaceful route. Related SearchesU.S. 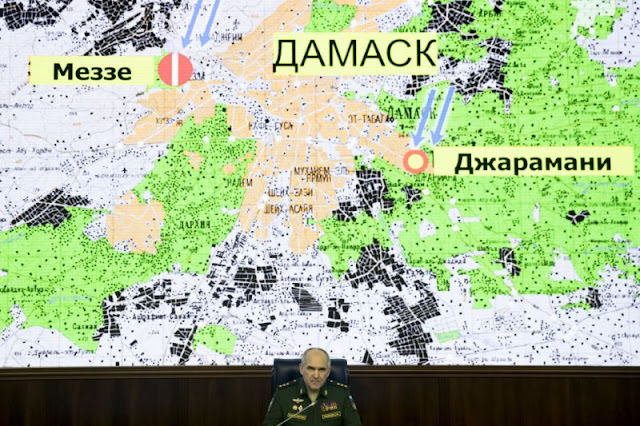 Strikes On SyriaTrump Syria StrikePutin Response To Syria Attack By U.S.
EDITOR'S NOTE: Vladimir Isachenkov has covered Russia for The Associated Press since 1992. Associated Press writer Sylvie Corbet in Paris contributed.